Commercial Photography | DePiro Designs LLC Altoona PA - DePiro Designs LLC. Need an affordable way to capture your brand? We can help! We have a wide network of photographers who can help capture the beauty of your brand and your products. We will come in and capture amazing photos to display online! We offer a wide variety of photography methods and services for you. From normal studio photography to drone shots we can do it all! Photo of Model Hanna Baker displaying a Dress from Beverly's Touch Of Class & promotion for Stoney Point Events Wedding Venue. 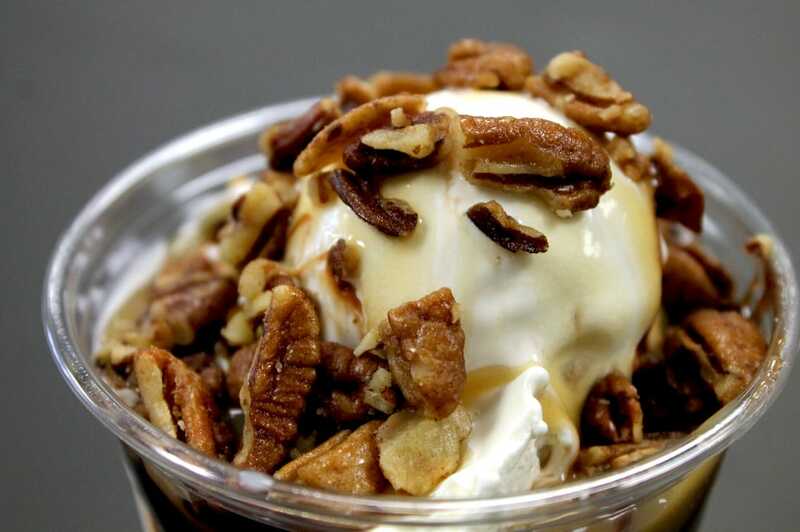 Product shot of the Dirty Turtle from The Meadows Frozen Custard.